Like any other global public relations spectacle, the UN Permanent Forum on Indigenous Issues Twelfth Session in New York this week is mostly a combination of feel good photo ops and brotherly love bromides designed to deceive. 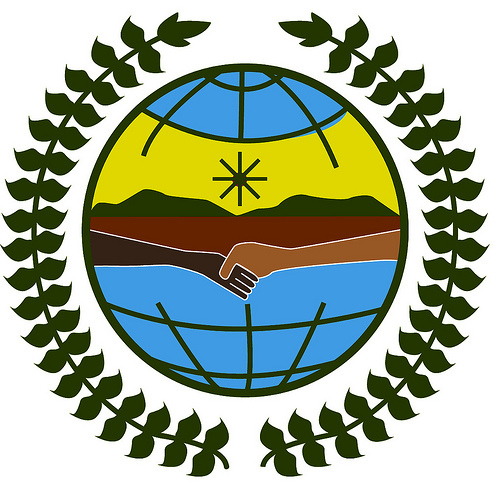 While some of the indigenous participants will bring legitimate grievances and constructive proposals from the Fourth World to the state-approved play pen for corporate sycophants like First Peoples Worldwide and elite NGOs like Tebtebba and Conservation International, many others — particularly corporate-funded NGOs and indigenous lobbyists with credibility issues — bring manifestos and screeds for their own self-promotion. As pious poseurs, they offer up meaningless campaigns like Proud to be Indigenous, while at the same time promoting indigenous assimilation into the corporate state system that denies indigenous governing authorities a seat at the table. Such is the nature of opportunism. While I have written previously about charlatans, opportunists and pious poseurs (COPPs) like Rebecca Adamson of First Peoples Worldwide, and the role they play in distracting the indigenous peoples movement and corrupting tribal leaders, it is perhaps their promotion of false hope that is most harmful to the pursuit of indigenous self-determination. Suggesting indigenous nations’ salvation is through getting in bed with notorious corporations like Shell Oil might seem laughable to intelligent indigenous activists, yet that is precisely what phony NGOs like FPW do. Which forces us to question the relevance of the forthcoming UN World Conference on Indigenous Peoples. Of course, once the group hug is over, the grassroots indigenous activists and courageous indigenous leaders will have to return to the life and death struggle against cancerous malignancies like Shell Oil’s Tar Sands project, while the pious poseurs busy themselves generating press releases about themselves as champions of the Fourth World. Such is the nature of poverty pimping. After all, what can you expect from the UN Permanent Forum on Indigenous Issues, when it is chaired by corporate brokers like Grand Chief Edward John?